I have always made this plumi moos without a recipe (in German my Mom would say 'no nase and mool', English translation would be something like 'to smell and taste'). But this time I made sure I measured everything so that I could post it here. There is one ingredient in this moos that I haven't seen added before and it's tapioca. I had it with tapioca for the first time at my MIL's place and have added tapioca ever since. Some may eat this as a dessert but I like eating it with the main course. Very good with fried potatoes, farmer sausage, and a slice of freshly baked bread. Bring to boil, turn heat to medium low and cook until the fruit is well done, approx 15 to 20 minutes. Meanwhile cook tapioca in microwave. Pour tapioca in a bowl and add enough water to cover. Cook in microwave for 20 to 25 minutes or until tapioca looks transparent, stirring every few minutes. Add cooked tapioca to the fruit mixture stirring until combined. 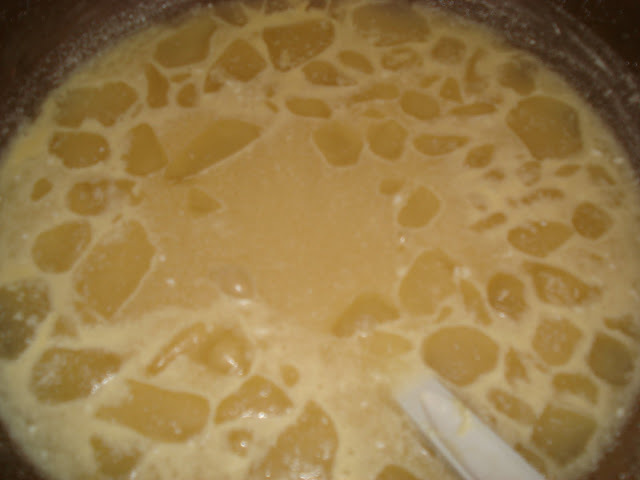 Add sugar and milk and bring to boil, stirring constantly. Remove moos from heat. Cover moos and allow to sit until cool. Scoop into jars and store in fridge. This is what I turn to if I have to make an appetizer in a hurry. It's simple, tasty and I usually have all the ingredients on hand. 1 head celery, root end cut off and leaves removed. Beat cream cheese, mayonnaise, chives and seasonings together. Fill each stalk with cream cheese filling. If it looks a bit messy use a small silicone spatula or damp paper towel to clean up the edges. Cut each filled stalk into 2 or 3 inch lengths and place on serving dish. Sprinkle with dill weed, or chopped fresh parsley and serve. On a recent visit to Granville Island Market, I noticed a bread that looked rather like an over-sized cinnamon bun in a loaf. I took picture, went home and made a copycat version. Combine milk, water, sugar, salt and butter. Add four cups flour and instant yeast and mix well. Continue adding flour until dough is soft but not sticky...knead. Place in a large, greased, mixing bowl. Cover and allow to rise until doubled. 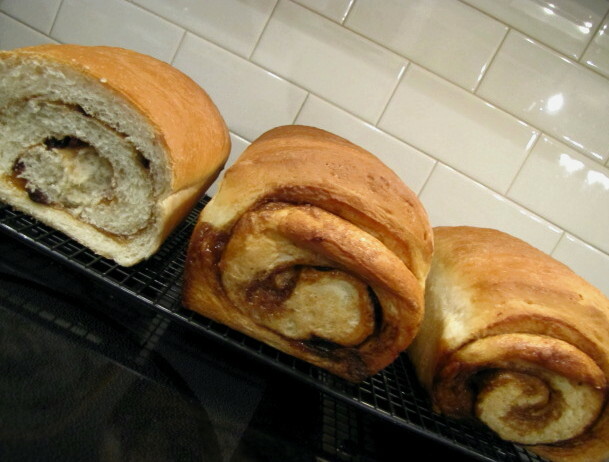 Mix together 1 cup brown sugar and 2 tablespoons cinnamon, and sprinkle mixture on top of the moistened dough. Sprinkle raisins evenly over entire surface. Form loaves and place seam-side down into well greased 9 x 5 inch pans. Let rise again for about 1 hour in a warm place. Bake at 350 degrees F for 40 minutes, or until loaves are lightly browned and sound hollow when tapped. I use a Bosch machine to mix the dough, and add all the ingredients directly into the machine and let it do the mixing. If you don't have a dough hook...use a mixer to 'step 2' and then knead by hand. Enjoy plain, toasted or topped with cream cheese icing! Memories of Saturdays growing up, always remind me of how my Mom would cook a big pot of soup, bake a batch of fresh buns and usually she would take part of the dough to make a platz or, as we called it, Streuselkuchen. My husband's side of the family called it Riebelplatz. Our middle daughter, as a pre-schooler, announced one day, "Mommy, it's easy to make Lieberplatz . . . all you need is dough, plums and crumbs!" Now that I'm not baking for a family on a regular basis, and we don't eat a lot of white buns, I have taken part of the dough to make cinnamon buns as well. We have been pleasantly surprised how yummy they turn out even with less sweetness. So I'll leave you with a variety of goodies to try with one dough. In small pot, melt butter and heat milk until warm. In large mixer bowl, beat eggs, adding the sugar and then the oil. Switching to dough (hook) attachment on mixer, add the rest of the flour, one cup at a time. Turn dough into a larger bowl to rise, giving it a few more punches if needed. 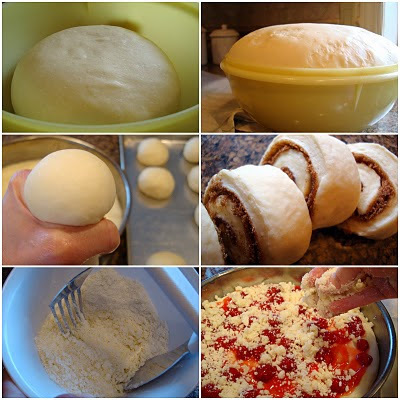 Use about ½ of the dough to make 15-18 buns. Shape into buns by taking a handful of dough at a time and squeezing bun shapes between thumb and forefinger. Place on greased cookie sheet, cover with tea towel and plastic and let rise 1 hour. Bake at 400° F for 20 min. Cool on wire racks. Note: I slice the buns before freezing them. This makes it easy to make sandwiches quickly when they are still frozen, especially when I did school lunches. With greased hands, pinch off a large piece of the rest of the dough and roll out on floured surface. Spread with about 2 Tbsp melted butter and 1 cup brown sugar mixed with 1-2 tsp cinnamon. Roll up jellyroll style and cut into 1” slices. Place on greased or parchment paper lined pan. Cover and let rise 1 hour and then bake at 350° F for 20 min or until golden. To ice: mix about 1 1/2 cups icing sugar, 1 Tbsp soft marg or butter and enough milk to make a nice spreading or drizzle consistency. Grease any shape of small - medium pan you like. 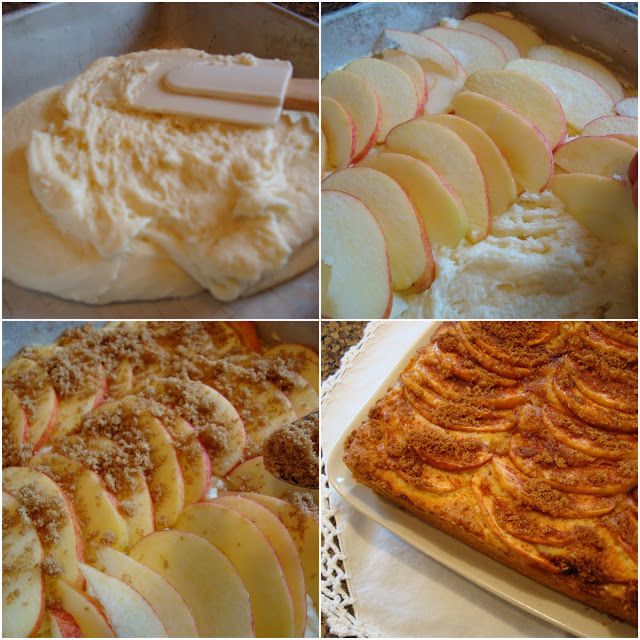 You can use a round spring-form pan, a 9x13" pan or a cookie sheet. Spread or pat your left over dough into pan by hand. It will rise some, so it doesn’t have to be high – about ½ - 1 inch – some prefer a flat platz and some a high platz. Let it rest about 20 – 30 min. Spread with cut up fruit, such as plums or apricots and sprinkle with just a couple of Tbsp of sugar. I used canned cherry pie filling. My mom often just spread it with just a beaten egg for moisture, then topped it with crumbs. For Crumbs: Mix butter into flour and sugar with pastry cutter. Squeeze a handful at a time and sprinkle on fruit or jam. If you find the crumb mixture too dry, mix in a Tbsp of cream, and then squeeze into crumbs as you drop onto the fruit. Let rise about ½ hour. Bake at 375° F for about 30 min. Remove from pan and let cool on wire rack. This is one of our favorite Sunday morning breakfast treats. To keep crumbs crunchy, don’t cover. If you freeze it, uncover to thaw. around our dining table with Lovella and Terry. a chocolate fondue along with a birthday cake for Lovella's upcoming birthday. Meringue filled with whipped cream, toffee and chocolate. It just melts in your mouth! *toffee is sometimes hard to find in bar form, but can be found as individually wrapped toffee. If you can't find toffee you can substitute with Heath or Skor bars. Beat egg whites with cream of tartar and salt until soft peaks form. Gradually add sugar and then vanilla, beating very well between sugar additions. Prepare pans. Cut 2 (10") circles of parchment paper and place on a cookie sheet. Spread meringue in 2 (9") circles on paper. Bake at 250º for 1 hour. leave in oven and turn oven off. Let sit in oven for 1 more hour before removing. Let cool completely on pan. For filling whip cream and then fold in shaved chocolate and toffee bits. Layer cream mixture with meringues beginning with meringue ending with cream mixture. Garnish with additional square of shaved chocolate. 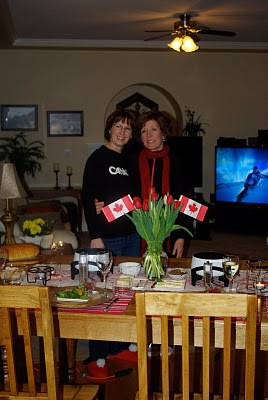 over the years we have celebrated many special occasions together. This girl loves to celebrate. you will see she even wore her red slippers. It was Lovella's dream to start Mennonite Girls Can Cook. making your dream a reality and bringing me along. and celebrating life together as friends. Blessings to you in the year ahead. Paul's words sound like that of an Olympic athlete. He ran well...completed the race...and was looking forward to his eternal reward...a prize worth so much more than gold. The Olympic games opened here in Vancouver last week...and so we have the world's best athletes on our doorstep. How exciting it is to cheer for those who have worked so hard to claim their prize...and even more so if they represent our country. Before we know it...the games will be over and the gold medals will be a distant memory. But life is worth so much more than gold. The big question is how we are running the race of life...and whether we know Him who is the everlasting Prize. May we all be able to say, "I have fought the good fight, I have finished the race, I have kept the faith" in the race that matters most! When you make a cake for a bridal shower or a birthday. . it is always an extra special touch to ask what the guest of honor's favorite cake is. This bride's current favorite is a Tuxedo Cake. I set aside the afternoon before the shower to create this moist layer cake. I will explain the cake with the additional layer of white cake but the white cake is not necessary but I wanted a few thin layers of white cake to define the chocolate against the white filling. 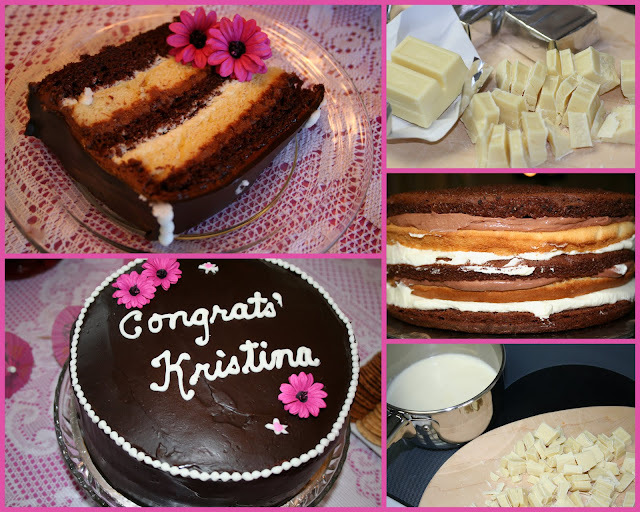 Today is Kristina's wedding day and I post this cake in her honor. Prepare to 9 inch pans by lining the bottom with parchment paper. Do not grease the sides. Combine all ingredients int the order listed and beat with a mixer for 2 minutes. Divide between the two pans and bake for 30 to 35 minutes or until a toothpick comes out clean. Cool completely and split the each cake into 2 layers with a large serrated knife. Combine all the ingredients and beat for two minutes. Bake the 9 inch pans for 30 to 35 minutes or until the toothpick comes out clean. In a small saucepan heat the heavy cream to a simmer. Add the chopped white chocolate and stir until smooth. Add the cubed cream cheese and stir until smooth. 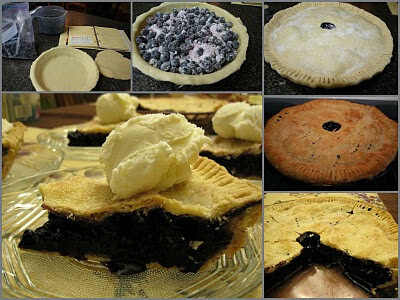 Refrigerate about 1/2 hour or until spreading consistency. Combine the ingredients and beat until thickened and smooth. Refrigerate until set and ready to use. Make a spreadable icing by combining all the ingredients in a small bowl. Use enough milk to make a spreadable icing. Bring the whipping cream to a boil. Add the chocolate chips and stir until smooth. Set aside until it is slightly thickened but still very pourable. Put the first layer of chocolate cake on a serving plate. Top with about half of White Chocolate Mousse Filling. Put on the first layer of White Cake. Top with half of Chocolate Mousse Filling. Put on the second layer of Chocolate Cake. Top with the second amount of White Chocolate Mousse Filling. Put on the second layer of White Cake. Top with the second amount of Chocolate Mousse Filling. Put on the third layer of Chocolate Cake. Refrigerate several hours to set. Apply a thin layer of chocolate icing over sides and top. Make as smooth as possible. Refrigerate an hour or so to chill the icing so it doesn't melt with the ganache. Pour the ganache over the top and smooth over sides. Clean up the drips that are along the bottom of the plate. Keep in a cool place until ready to serve. I am known for not straying far from my old faithful cinnamon bun recipe, but while flipping through a stack of old recipe books I came across this one and thought I'd give it a shot. I think my family would have enjoyed these, but would still vote for the others....which by the way are on the blog. When we go to visit our family in Kansas and Calgary I can be found in the kitchen with my hands in the dough and observers peering over my shoulders....so they can make them on their own. They do now...and so can any of you! This recipe makes 15 rolls. The unique ingredient is corn starch. The dough is buttery soft and once risen is very easy to handle. I would recommend using a stand up mixer with a dough hook for this recipe. 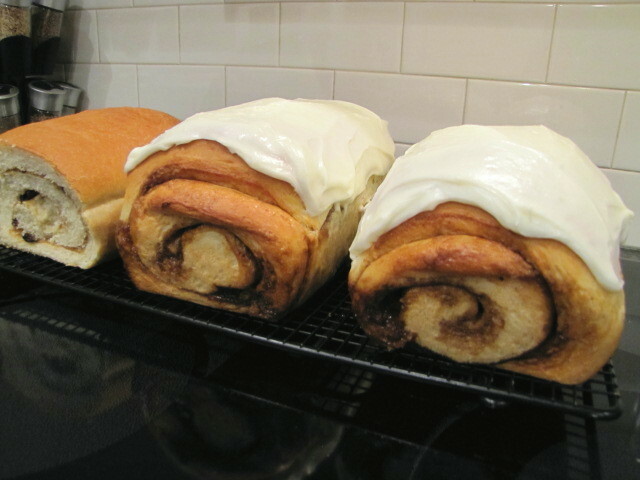 The finished rolls are very tender, and best served warm and fresh from the oven, drizzled with cream cheese frosting. I'll be making these again. Place all the dry ingredients in the bowl of your mixer. Give it a good stir. Add the warm milk and beaten eggs and beat until well incorporated. Add 1 tbsp at a time of soft (NOT MELTED) butter to the dough. Beat well between each spoonful. Continue to beat for 10 minutes until you get a buttery yellow, soft dough that is coming together to form a very loose ball. Using a spatula pull the dough together away from the edges of the bowl, and then using your hands work the dough into a soft ball. Place the bowl in a draft free area and cover with a tea towel. Let rise until double, at least 1 hour. Once the dough has risen to double in bulk lightly flour your work surface and roll dough into an 18" square. Spread with soft butter, sprinkle with sugar mixture, and roll. Slice into 1 1/2 " slices. Place rolls, just touching onto a parchment lined 9x13 pan. Cover rolls with towel and allow to rise again for 1 hour. Bake at 350º for 35 minutes. Usually I remove buns from the pans as soon as they are baked, but I left these in the pan to cool and frost. It worked well with this recipe. Beat together until smooth, adding more milk or sugar as needed. I made mine a little runny so I could drizzle it. In the summer of 1994 we took our kids, aged 11- 16, on a missions trip to Lithuania. I think it was the best summer we had as a family! 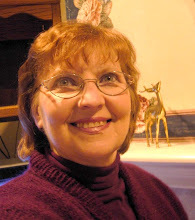 An older couple, in charge of the project were Mennonites from Lancaster, PA and I quickly grew to love and admire Marion L. who taught me how to smile and be flexible in a kitchen that was not stocked the way we were used to. This is one of the recipes she shared with me and I still like it because sometimes simple is the best! Beat soft butter and sugar with wooden spoon or hand mixer until well mixed. Combine dry ingredients and stir in with wooden spoon. Spread into greased and floured 9x9 inch pan. Choose your topping and spread over top. Bake at 350° F for 25 - 35 minutes – longer if using fruit topping. * Plain - 1/3 cup brown sugar mixed with 1 teaspoon cinnamon. * Apple - arrange thinly sliced apples on top before sprinkling on ¼ - 1/3 c white or brown sugar mixed with cinnamon. Bake at 350° F, 40 - 45 minutes. * Cinnamon/oat - combine 1/2 cup rolled oats, 1/2 cup brown sugar, 1 teaspoon cinnamon and sprinkle over top of batter. Bake at 350° F, 30 minutes. The kind of love that the Bible talks about is very different than what we often demonstrate when we say we love our family and friends. I read the verses again but I substituted my name for the word Love . . .
do these verses fit with how I treat my friends and family? I found myself coming up short in areas and . . . I saw that I have lots of room to practice showing love. Since today is Valentines Day. .
it is a good day to start fresh. Happy Valentines Day to all of you our dear friends! 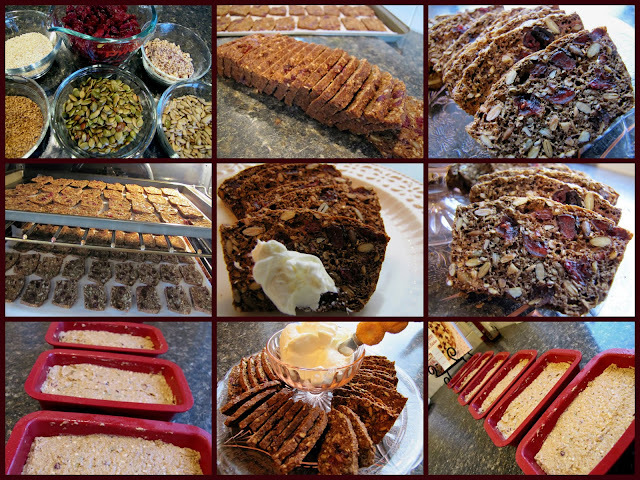 This recipe comes from my side-kick Steff who helped me at my cooking event last fall. She is truly the Queen of Appetizers. This recipe is somewhat a twist to Spinach Dip. 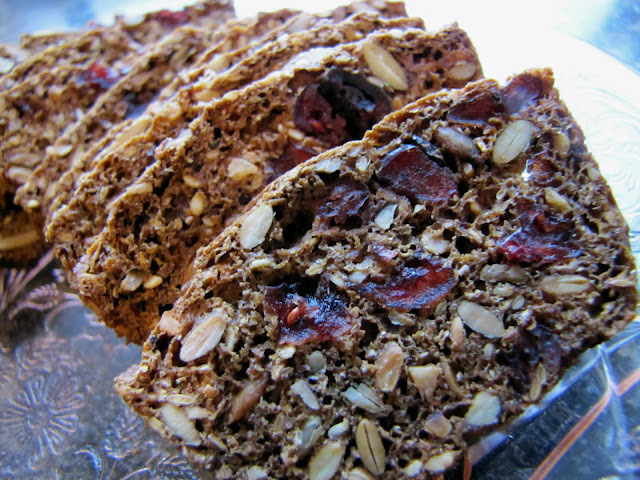 I could not find unsliced pumpernickel bread, so I substituted Anneleise's Stir Whole Wheat Bread. This bread is always a great success in our home. 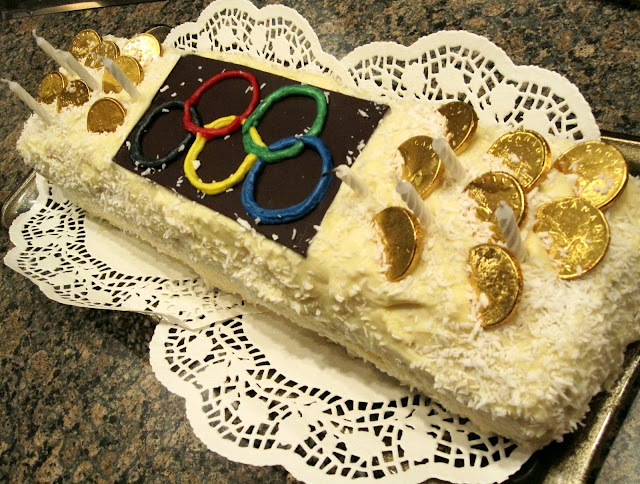 So this will be my appetizer for the opening games ceremony. It's always a hit. Enjoy! Take one of the breads and cut off a circle on top and save that....then hollow out the bread and fill it up with the cream cheese mix. Then put the bread lid back on and wrap it in tin foil and bake for 2 hours at 350 degrees. This is not an exact science so usually I use more onion, more dill and more than half pkg of bacon. Have fun with the taste...Go a bit Rustic!!! These days you may pass on fried foods, but I decided that a little fried chicken would not hurt. I used grape seed oil which is a lower smoking oil and leaves food less greasy in taste and texture. Soaking the meat in buttermilk and spices for 8 hours makes for juicy tender chicken on the outside, and a flour and spice coating gives a perfect crunch to the outside. One frying chicken cut into pieces- You can purchase pre cut pieces of chicken with the skin on or cut up your own. Wash and place in a glass 9x13 pan. Stir ingredients together and pour over washed chicken, making sure the meatiest parts of the chicken are soaking in the mixture. Cover and refrigerate for 8 hours. Place ingredients in a large zip lock bag or seal able container and shake together well. Drain chicken in a colander leaving the excess spices on the meat, but remove the onions. Place all wet chicken pieces into the flour bag and shack well, until the pieces are heavily coated. To fry: it is important that you always stay close to the stove top when heating oil. Keep a lid handy just in case a fire starts. This will probably never happen, but if it does....smother the flames with the lid! Have a plate with a cooling rack over it ready to remove the fried chicken to. Any grease will drip through that way and the pieces will stay crunchy. I used 4 cups of grape seed oil, as it does not smoke and also is a very light and less greasy tasting oil. You can also use Canola oil. Using a heavy pot heat oil over medium heat. It is ready for frying when you drop a pinch of flour into it and it sizzles and browns. Using tongs, place 4 pieces of chicken at a time in the oil. I fried the same size pieces at the same time as the smaller wings and drumsticks fried faster than the larger pieces. Let them fry (stay close) for 12-15 minutes, and then turn over and fry another 8-10 minutes. Watch the meat and adjust the heat so that the chicken is sizzling in the oil. Repeat with the remaining pieces. Keep chicken warm in oven, until all pieces are fried. Serving suggestion- pasta, spinach Mandarin salad, homemade buttermilk biscuits. This makes a nice change from a tomato sauce based pizza. It makes a great appetizer as well. Mix flour, sugar salt and yeast in mixing bowl. Add oil and warm water and mix to form a soft dough. Cover and let rise until nearly double in bulk. you can just press it out, stretching it to fit the pan. You can get 2 medium sized pizzas from this amount of dough so I often spread it on another pizza pan and freeze it for another day. Top with Basil Tomato Topping. In mixing bowl, combine mayonnaise, Parmesan cheese, garlic and basil until well mixed. Arrange tomato slices over topping and sprinkle with chives and grated Mozzarella. Bake at 425degrees for 15 minutes or until it bubbles and the cheese just begins to brown. My sister uses one of those bagged. prepared pizza crusts you can buy in the deli of your grocery store and it works very well. I remember my Mom making tapioca pudding for dessert. I searched for a recipe online. I found one on http://www.simplyrecipes.com/ and with a bit of changing it looked like it could match my Mom's recipe. 1. Combine tapioca, milk and salt in a medium size saucepan over medium heat. Stir until it comes to a boil. Simmer 5 minutes, uncovered at the lowest heat, add sugar gradually and keep stirring frequently. 2. Beat eggs in a bowl. Slowly mix in a little of the hot tapioca to temper the two mixtures to avoid curdling. 3. Add egg/tapioca mixture to the tapioca in the pan. Slowly bring to a boil, stirring constantly. Reduce heat, cook, and stir frequently at low simmer till it's a thick pudding consistency and the tapioca is tender. 4. Once it's done, cool for 10 minutes, then stir in vanilla. 5. This is very good served warm with a bit of ice cream. I served these baked chicken tenders with my homemade salsa to which I added some fresh pineapple. Served over a romaine and spinach salad it made a light dinner. 2 - 3 chicken tenders per person. Chicken tenders are the part of the chicken breast that is the most tender. To find it. .take a fresh boneless chicken breast. . turn it to the underside and pull the bit of loose chicken. It will easily pull off. You can buy the chicken tenders already separated I just froze the rest of the chicken breasts for another meal. If you are going to make enough for 4 people. .the crumbs below will be enough .. .but if you make a large batch ..double the crumbs below accordingly. Dip the chicken tenders in the egg. Put the cornflakes in a zip loc bag and crush with a rolling pin. Coat each piece of chicken with the cornflake and coconut mixture. Spray a cookie sheet or cover with parchment paper. Lay the chicken out and leave a little space between each one to allow them to crisp. If necessary use two cookie sheets. Bake in a hot oven. . 425 F for 10 minutes. Cut into the thickest part of one to be sure it is no longer pink in the middle. 1 large jalapeno pepper which you have finely chopped. .using medical gloves of course. 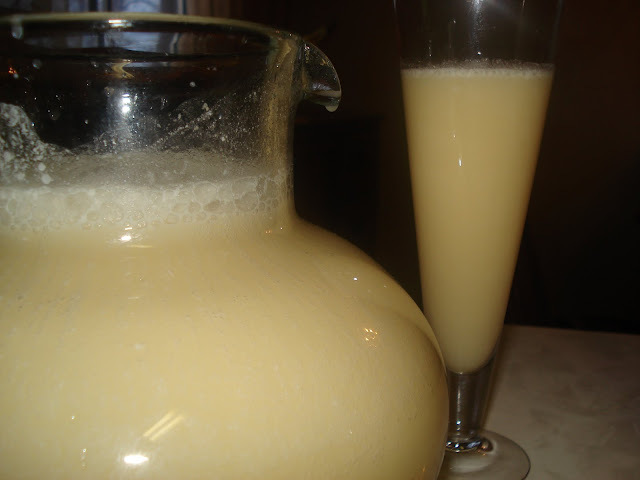 1 - 2 cups finely diced pineapple. . you could use mango too .. add more. .it won't hurt it. In a large bowl combine all the veggies and the pineapple. Add the remainder of the ingredients and stir well . .refrigerate. My friend, Doris, makes Rouladen for special occasions and I always get hungry for them when she mentions them. You will note I have several options here ending with a combination of her recipe and how I've adapted it for our family. In a large frying pan, sauté onion and bacon. I used pre-cooked bacon, so I just add it once the onion is soft, or use it without frying. You can skip the sauteing if you prefer the short cut. Tenderize the meat. I put a few slices on a chopping board, cover the meat with a plastic bag and then use the meat hammer on it. This way the juices don’t splatter. Sprinkle meat lightly with salt, pepper and marjoram, then paint lightly with mustard. Divide onions and bacon on tenderized meat slices and add pickle on one end. Roll up, starting with pickle end, folding in the sides a tad. Secure with toothpick if you like. Brown in same pan as you cooked the onions in. I like to add a splash of wine at the end of the browning process and continue cooking them until it’s almost evaporated. Transfer Rouladen to roasting pan. Add cream of mushroom and liquid from mushrooms to drippings in pan and bring to boil. I used 1 can mushroom soup and about 1/2 cup light cream. Pour sauce over Rouladen and bake at 325° F for 1 - 1 ½ hours, depending on size. Add button mushrooms for last 20 minutes. Other option for sauce: Add 3 cups beef or chicken broth (shake 1 cup with 3 Tbsp flour to thicken) to drippings in pan. Cook rolls on stove or in the oven, in the sauce. When done, remove rolls onto serving plate and stir ½ cup of cream into the gravy. Our favorite family version: to the cooked onions and bacon I add about 2 cups stove top prepared stuffing and a handful of cranberries, leaving out the pickle. I also leave out the button mushrooms. While fixing the amount of gravy (after Rouladen are cooked) I add sliced sauteed mushrooms and more half and half to make the amount of gravy we like. It it needs seasoning, I add a tsp of better-than-bouillon. This can all be prepared the day ahead and re-heated the next day. If you have ever been on a cruise, you know that the food is quite special! 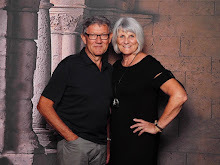 Last year we cruised the Caribbean and I came home with the Royal Caribbean International Cookbook, which happens to contain recipes for many of the delicious dishes I sampled on board. 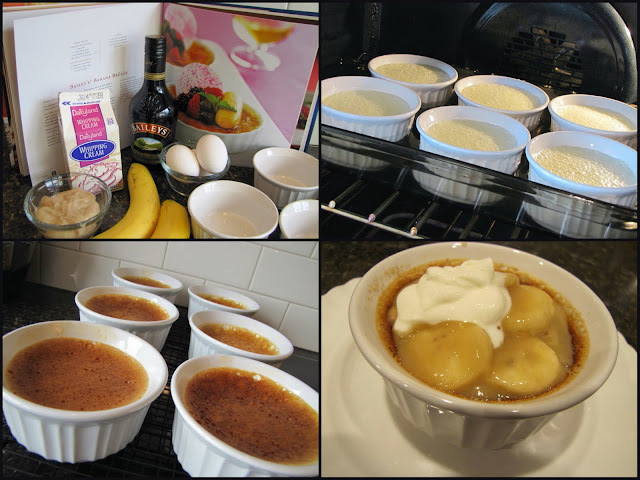 One of my favorite desserts was Bailey's Banana Creme Brûlée. The recipe I am sharing here today is not exactly as printed in the cookbook but a somewhat more simplified version. I discovered that it doesn't need double boilers and strainers after all! Beat egg yolks and sugar until lemon coloured. In a heavy saucepan heat cream to scalding (just under a boil) over medium heat. Stir in Bailey's Irish Cream. Add hot cream mixture slowly to egg mixture stirring continually. Set filled brulee dishes in a large deep-sided baking dish. Add enough water to reach halfway up the brulee dishes. Bake for 40 minutes at 325 degrees Fahrenheit...until set but still trembly. Remove from pan and cool. Chill for several hours. Several hours before serving, sprinkle 1 Tablespoon brown sugar over each cup. Broil 6-8 inches from heat until sugar is caramelized....it will turn brown and bubble. Let stand 15 minutes; then chill again until serving time. 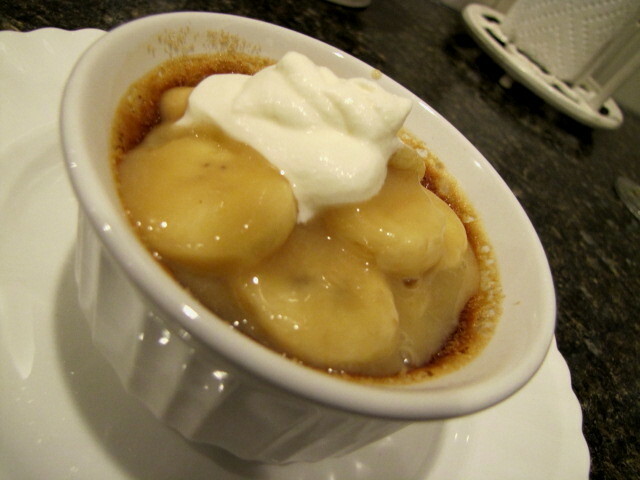 Top with caramelized bananas (below) and a spoon of whipped cream. Melt butter and sugar in skillet over medium heat. Add banana slices and caramelize for about two minutes. The Bailey's Irish Cream gives it a wonderful flavour, but you can substitute 1 teaspoon vanilla if you prefer. You can also omit the banana topping and instead top with whipped cream and toasted hazelnuts. It's actually quite simple to make and most delicious with the crunchy brown crust. If you are looking for a special dessert, you might want to give this a try! We were given two porcelain Royal Worcester egg coddling cups as a gift. They were so pretty, but I had no idea what they were for. Once I found out what they were and how to use them we have been enjoying coddled eggs for breakfast. The egg coddlers shown are for 2 medium size eggs. You can purchase them at specialty kitchen shops, and can also be found in antique shops. If purchasing a used coddler make sure the lid has a good seal. Place empty cups in a pot and fill pot with water to just below the lid rim of the cup. Remove the cups from the pot. Bring the pot of water to a boil while you assemble your eggs. Place 1/4 tsp butter in the bottom of each greased coddler. Break one egg into each coddler. Sprinkle with a dash of salt and pepper and a pinch of basil. Top with 1 teaspoon of each ham and cheese, and then break the second egg over that. Top with the remaining ham and cheese, a dash of the seasonings and 1/4 teaspoon of butter. Making sure you have greased the lid, screw it on (but do not tighten it too much) and carefully place the sealed coddlers in the pot of boiling water. I put a lid slightly left open over the pot to keep the steam in. For a 2 egg coddler leave in the water for 8 1/2 minutes. If using only 1 egg boil for 6 1/2 minutes. To remove from the water it is best to use the end of a fork or spoon by sliding it into the ring. The porcelain gets very hot! Using a dry tea towel hold the bottom and remove the seal. The eggs will be like a medium hard boiled egg. The cheese, ham and basil give it extra flavor. Serve with home made hash brown potatoes, fruit and toast. *if you want quick home made hash browns, microwave several potatoes for 4-5 minutes. Let cool slightly and leaving the skins on cut into chunks. Melt some butter in a non stick skillet and over medium heat brown until outsides begin to get crispy. Season with salt and pepper to taste.